Access the Word of Promise App by selecting your platform. The Word of Promise App is an Audio Bible and Study Bible, dramatized by an all-star cast of actors, including Jim Caviezel as Jesus, Academy Award Winner Richard Dreyfuss as Moses, Emmy Award Winner Gary Sinise as David, SAG Award Winner Jason Alexander as Joseph, Academy Award Winner Marisa Tomei, Academy Award Winner Louis Gossett Jr., and over 600 actors contributing to this timeless work. This NKJV audio Bible is produced with state of the art audio technology, including sound effects and an original musical score. We give our guests a free download of the Gospel of John so you can view the Study Bible and experience the Word of Promise Dramatized Audio. Be immersed in the dramatic reality of the scriptures as never before. This multi-voiced, scripted dramatization of the New King James Version (NKJV) features a star-studded cast of over 600 actors, original music score composed and conducted by prolific Italian composer Stefano Mainetti, and feature film quality sound design produced, engineered, and mixed at a post-production facility ranked in the Top 3 in the nation. This world-class audio production creates a dramatic audio theater experience that makes you feel like you're really there with Abraham, Moses, and Jesus. Listen in your car on the way to work or with your family or small group to gain a new perspective of the Bible. The NKJV Study Bible, Second Edition, is the most comprehensive study Bible available! It has the most complete study system for pastors, teachers, or students who desire accurate study in God's Word. Using the trusted New King James Version, The NKJV Study Bible has "the mind of a scholar and the heart of a pastor." Thomas Nelson's skilled team of scholars has produced the study system to reach for when accurate study in God's Word is the goal. 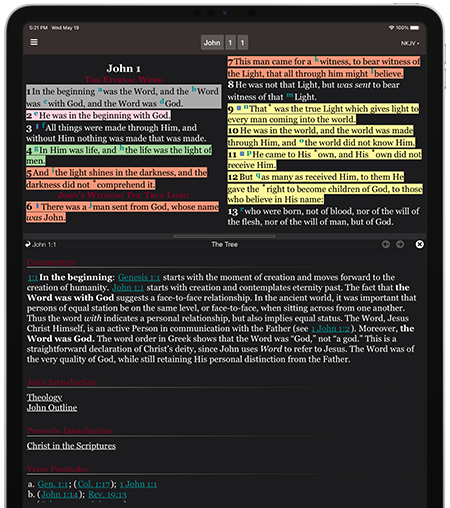 The tree feature allows access to our extended NKJV Study Bible content. Taking from the root of the word of God it is presented in a clear easy to read format in the form of branches. 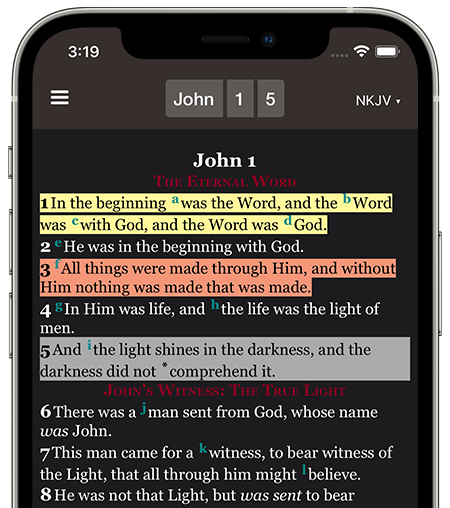 Experience this unique feature unlike any Bible app you have ever seen. 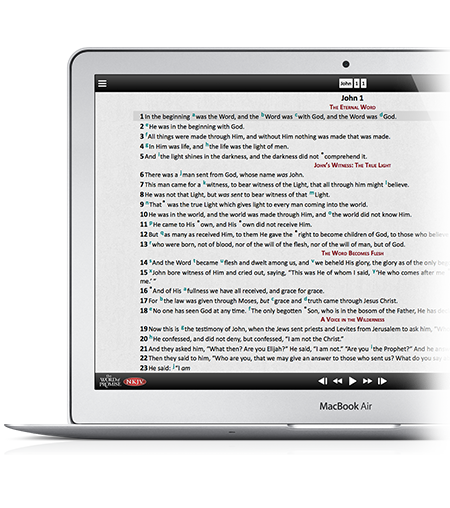 Watch as the text is highlighted in sync verse by verse with the Word of Promise Dramatized Audio Bible. Take on the Word of God through your web browser. Experience the full Word of Promise dramatized audio and study Bible through your web browser on any Mac or Windows machine. Experience the Bible in a whole new way!